Aerotek is a top privately-held staffing agency in the United States with more than 200 offices nationwide. They offer high-calibre services to determined job hunters. The staffing firm is a global leader working with top brand companies. The firm was founded in 1983 by business tycoons Steve Bisciotti and Jim Davis to serve engineering staffing requirements for the aerospace and defense industries. Since then, the company has been demonstrating excellence and success in the industry. 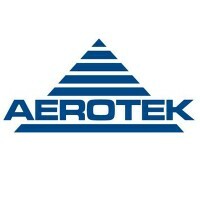 Aerotek has steadily grown and established a great reputation. In 2017, The Company was awarded Inavero’s Best of Staffing for their prime quality service based on the satisfaction ratings given by their clients and contract employees. The company offers competitive compensation with great earning potential. Their compensation package includes Healthcare benefits, program allowances, dental, vision, paid time off, employee discounts, performance-based bonuses and incentives, travel benefits, and more. Aerotek offers jobs for applicants aged 18 years old and above. The company is very objective and only looks at their applicants’ competencies and general qualifications. They do not tolerate discrimination in selecting people to be part of their company. With over 17,000 affiliated companies, Aerotek is all set to give the best career opportunities for job-seekers in terms of growth and skills development in their chosen career path. From short-term jobs to high-tier positions, the company aims to unleash potentials from highly driven and accomplished individuals following excellent values toward absolute success. Entry Level Recruiter/Sales Trainee: The role is for individuals that have knowledge and skills in identifying qualified candidates. It requires someone who can effectively conduct screening and interview to assess candidates’ competencies in applying for a job. As a recruiter, you are expected to communicate and report to your direct manager, and expected to follow company policies and guidelines as an employee. Customer Service Representative: A customer-service oriented individual is needed for the job. You must be capable of providing exceptional and quality customer service experience through effective communication and product skills. You are expected to be productive and to answer queries, process orders, assist clients following the guidelines and policies set by the company. Entry level technician: The responsibilities include (but not limited to): processing production materials, full accountability in ensuring proper product labeling and transportation, tracing process and proper documentation, equipment and facilities preventative maintenance in accordance with the establishment’s standard operating procedures (SOP). Jr. Analyst: Must be knowledgeable in MS office tools and other system application products. Responsible in designing and implementing effective software programs for the organization. Analysts are expected to work with the IT department and other business units within the organization. Medical Assistant: The role is to help record vital information from patients, including medical history. The duty also involves clerical tasks for appointment records, reimbursements, and medical inventory. The assistant is expected to observe cleanliness and to make sure that all medical facilities are operational prior to an appointment. Janitorial Staff: With minimal supervision, the job is to keep clean and orderly company premises all the time. The staff is expected to take actions in cleaning facility equipment, managing garbage disposal, facilitating and executing pest control, and other related tasks. Service Coordinator: The service coordinator must have good administrative experience in data entry processes. The role will be responsible in taking and processing purchase orders, and will coordinate with vendors to ensure a timely and seamless purchase work flow. The coordinator will ensure that all products shipped are accurately sorted and recorded. Installation Technician: The technician is responsible for maintaining interior equipment functionality and performance. The right person has skills and knowledge to perform troubleshooting for any electrical and mechanical failures that may arise. The person is accountable for ensuring equipment safety usage by performing equipment internal check-up prior to use. Quality Inspector: The role is to identify product opportunities by executing a series of testing and inspections. The successful applicant is required to create reviews and manuals for product improvements. He must ensure that all products have passed the standard quality control processes. Social Media Moderator: The role of a social media coordinator is to engage in social media platforms, and to ensure informative and reasonable contents within the managed page. He must be able to work and interact with other users following the community standards. He will act as social media product ambassador who will promote products and services through advertisement and other means using social media. The Company is set on finding you a career in a seamless and fast way. They have an online portal where you can submit your application. There are affiliated companies who accept walk-in applicants. For online applicants, simply go to their portal and search the job you are aiming for. Click apply and fill out necessary information, including your contact number. A representative will contact you for further instructions. Resume must be filled with your personal information, work background and skills. As much as possible, make it concise and organized as recruiters will merely look at what is related to the position you are applying for. It is essential to have ideas about the position you are applying for. You may perform a little research about the company, specific skillset required for the role as you may be asked about these to assess your qualifications. The firm is composed of dynamic and success-centered individuals who are set to bring excellence within themselves and to their work. The value of collaboration and team work is what maintains the company’s established culture. The company recently received back-to-back awards for being the best staffing company in 2017. They are recognized with Inavero’s Best Staffing Award – the only award-giving body in the country that recognizes the kind of excellence in the industry. The company is well-known to be the number 1 staffing agency in the country. The company has demonstrated great partnership with companies including those on the list of Fortune’s top 500 companies. Despite its success, the staffing firm never forgets to give back to the community by engaging with community partners in initiating programs that encourage education, employment support, and strengthening the community in the field of science and technology. 1 How old do you have to be to work at Aerotek?